On the heels of a major airfield and terminal development program, the airport recognized the need for a fresh vision for the facility. A Master Plan Update was their opportunity to provide the traveling public with top-notch services in a safe, efficient, customer service-oriented, fiscally, and environmentally-responsible manner. Airport management staff challenged Crawford, Murphy & Tilly (CMT) to take a different approach to the planning process and focus on creative methods to meet their objectives. 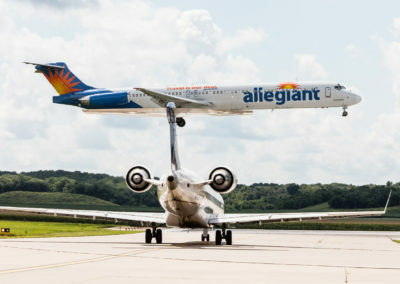 While the planning effort analyzed a wide range of facilities, CMT identified an opportunity to implement a comprehensive taxiway development program, which resolved a number of non-standard conditions based on new FAA criteria. CMT developed a project justification package for the program that secured $25M in federal discretionary funds over a 3.5-year period. 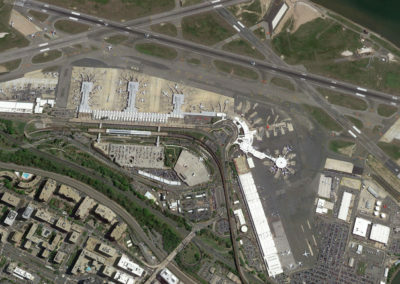 In addition, the program allowed the airport to replace building infrastructure, which had reached the end of its useful life and was a core objective of the airport. 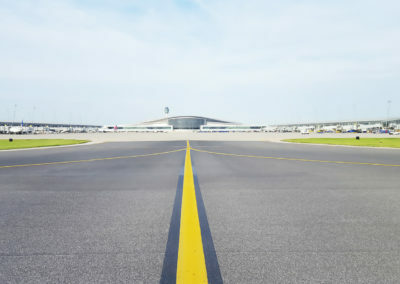 In the end, a creative master plan update led to a multi-year $60M taxiway program, and CMT leveraged the new FAA airfield criteria to achieve major airport-driven initiatives.